Spring is getting closer and closer, for my greatest happiness ! Temperatures are rising those days, I put my puffer aside in which I clearly hibernated the last few months... 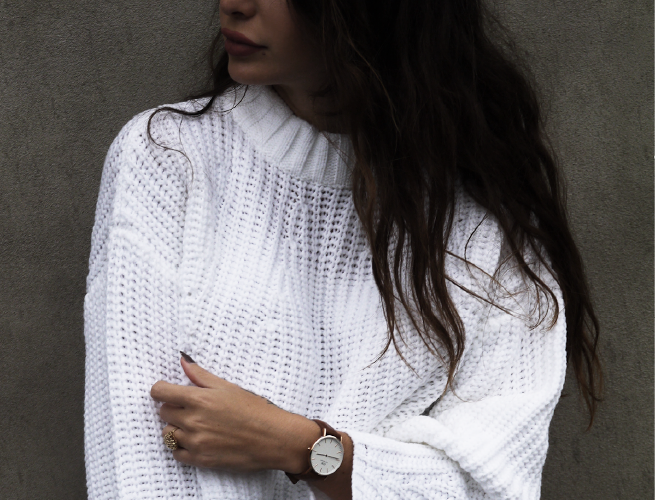 I recently felt for this ZARA sweater (ref: 6873/112), tied at the wrists. I love its oversized style and cosiness. I didn't have that kind of grey sweater. I wore it with those MISSGUIDED high waist trousers, a little nugget ! Unfortunaltely, I think it's currently sold-out, because I can't find it on their website at this time. Loving this look. You look stunning. Omg the details on this top are amazing! So cute!